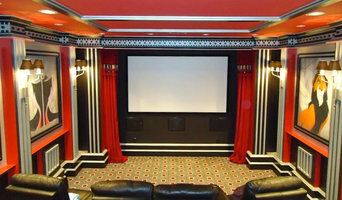 Electronic Home Environments provides luxury home Audio Video Solutions with the highest level of customer service. We understand that with all the technological advances made in tech/electronic equipment, it often seems like a full time job trying to learn what systems are right for your home or office. There are aesthetic, quality and installation issues and of course budgetary concerns as well. Plus, selecting the right Home Technology contractor can also be a challenge. You know you need an expert, one that you can trust and that puts customer service first. The team at EHE is experienced and we are here to earn your trust. As for customer service- EHE is built on the foundation of delivering unparalleled customer service and reliability to each and every customer we serve. 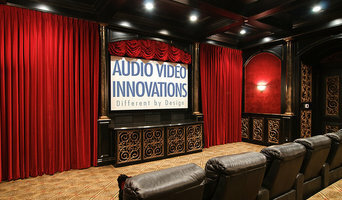 Since 2006, Precision Audio Video Installations has specialized in providing the highest quality home audio and video equipment, as well as expert design and custom installation services. We offer sales, design and installation for both new construction and existing residence with retrofit applications. We take an engineer’s approach to design the perfect system for your home or business, paying close attention to every detail. We integrate the best audio and video components into an easy to operate system that your entire family will enjoy and love to use for many years to come. MediaCraft is the solution to a home designed for lifestyles of today and prepared for lifestyles of tomorrow. MediaCraft is the leader in home integration, specializing in the installation of structured wiring, whole house music, lighting & climate control, home theater, home automation, and more. Staying on the cutting edge of technology while meeting the ever changing needs of our customers. Home & Business Automation Solutions: • Audio-Video Systems • Home Theater & Entertainment • Lighting Control • Shades, Blinds & Window Treatments • Security, Surveillance & Life Safety • Climate Control & Energy Management Solutions • Networking & IT (and more) SAV Digital Environments is a comprehensive, process driven integration firm offering design and installation services and a commitment to 24/7 reliable customer service. We bring connectivity and efficiency to your home or business, designing reliable and intelligent solutions to simplify your life.